We are proud to carry various skin care lines. 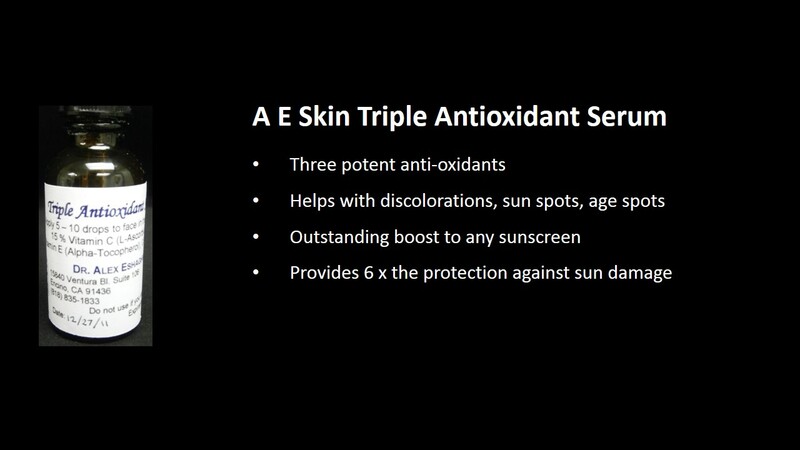 The A E Skin Products contain prescription strength ingredients improve skin color, texture, and tightness. Many products complement other cosmetic procedures we offer. The A E Skin Green Tea Awakening Facial Cleanser is a revitalizing cleanser that gently cleans, nourishes, restores, and replenishes the skin, giving you a healthy radiant look. The Green Tea Awakening Facial Cleanser is soap-free, alcohol free, and suitable for all skin types. The revitalizing formulation is rich in antioxidants and botanicals; it contains extracts from green tea, white tea, chamomile, cucumber, and orange, giving it a unique aroma. It also contains caffeine; vitamins A, C, and E; Co-Q10 (another powerful antioxidant); and panthenol (vitamin B5, which soothes the skin). It forms a thin foam on the skin which can be rinsed off after a rubbing it in for approximately 30 seconds. 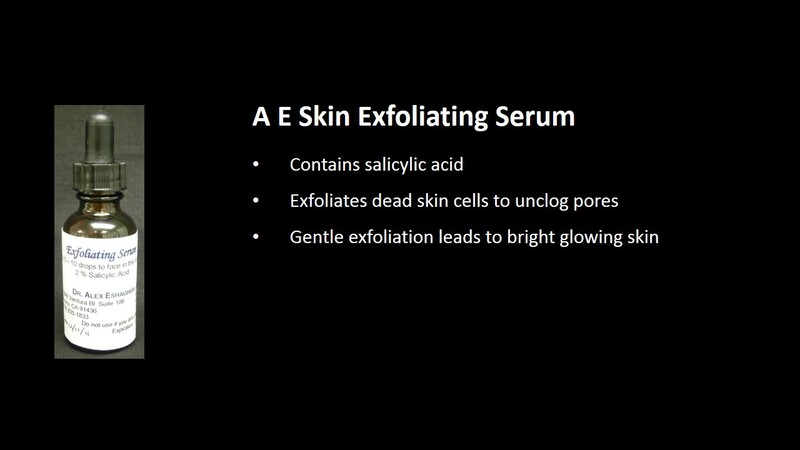 The A E Skin Green Tea Awakening Facial Cleanser is paraben-free, fragrance-free, gluten-free, soap-free, alcohol-free, and non-comedogenic. The A E Skin Green Tea Nourishing Moisturizer is a rich facial cream which can be used in the morning and at night. It contains the powerful antioxidants green tea extract and Co-Q10 to protect your skin. Other ingredients include vitamins A, C, and E as well as yucca root extract. The ingredients are liposome encapsulated for deep penetration into the skin. The A E Skin Green Tea Nourishing Moisturizer is paraben-free, oil-free, fragrance-free, gluten-free, and non-comedogenic. The A E Skin Green Tea Enlightening Eye Cream delivers rich hydration to the delicate skin around the eyes. It works well for fine lines, dark circles, and puffiness around the eyes, the most common concerns. It contains the perfect level of retinol, ceramide, and peptides to stimulate collagen formation, fighting wrinkles, loose skin, and under-eye bags. 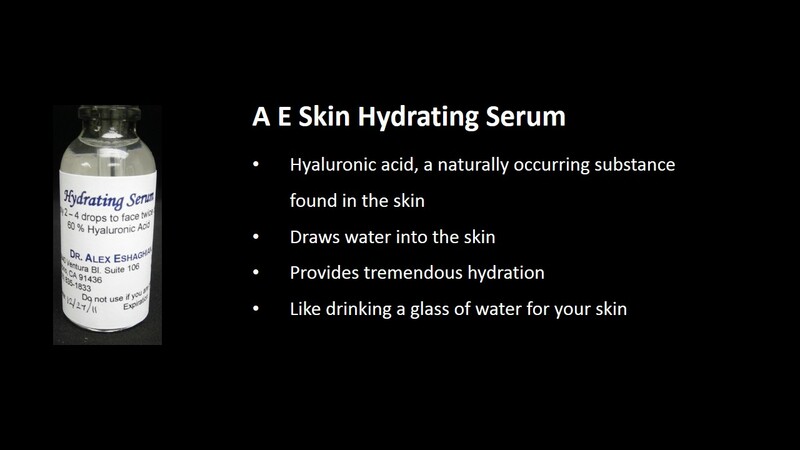 Hyaluronic acid draws water into the skin, hydrating it and providing volume. Niacinamide (vitamin B3) calms the skin and brightens discoloration. Caffeine, arnica, and vitamin K reduce the appearance of dark circles and puffiness. Green tea extract serves as a powerful antioxidant to protect the skin. 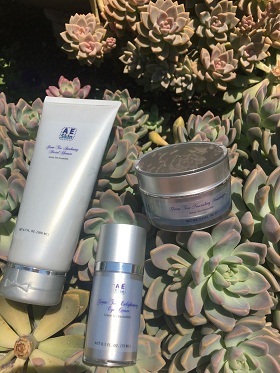 Twice daily use of the A E Skin Green Tea Enlightening Eye Cream will lead to visible improvement in fine lines, wrinkles, dark circles, and puffiness in as little as eight weeks. 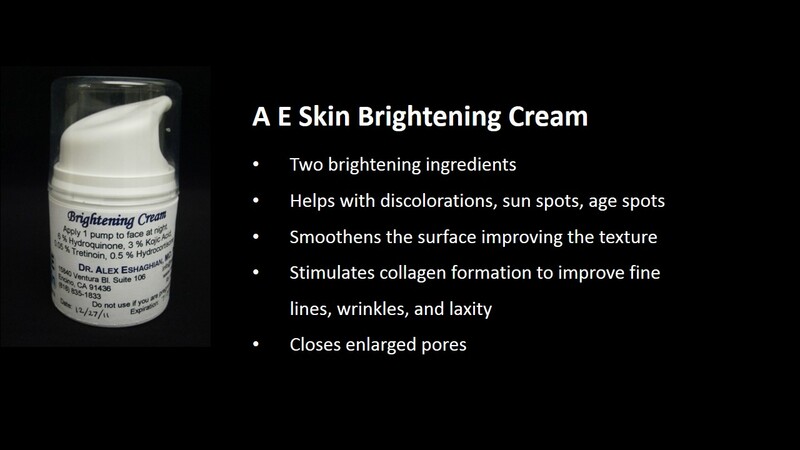 The A E Skin Green Tea Enlightening Eye Cream is pol-free, fragrance-free, paraben-free, gluten-free, hypoallergenic, and non-comedogenic. 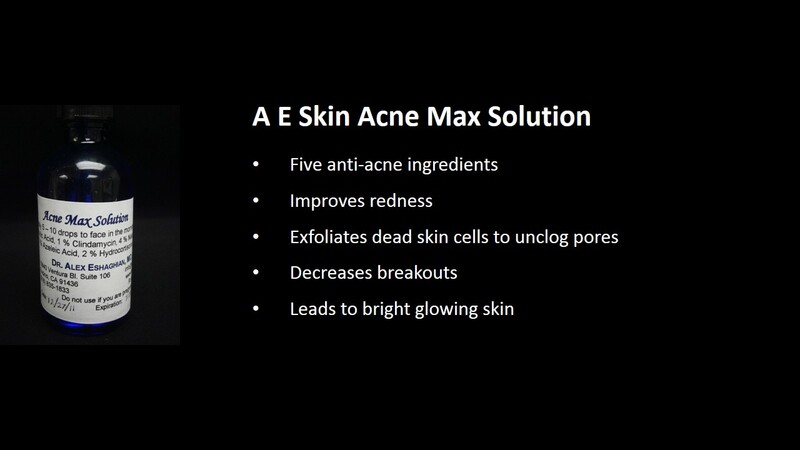 Contact Us for more information on skin care or to schedule an appointment.